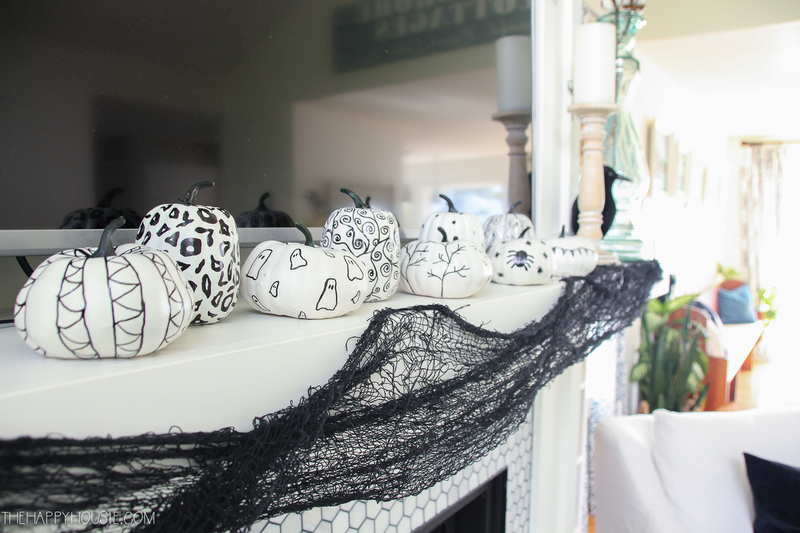 Today I’m sharing a quick and easy DIY Halloween craft: turning thrift store faux pumpkins into cute and custom hand sketched pumpkins using oil based sharpie paint pens. 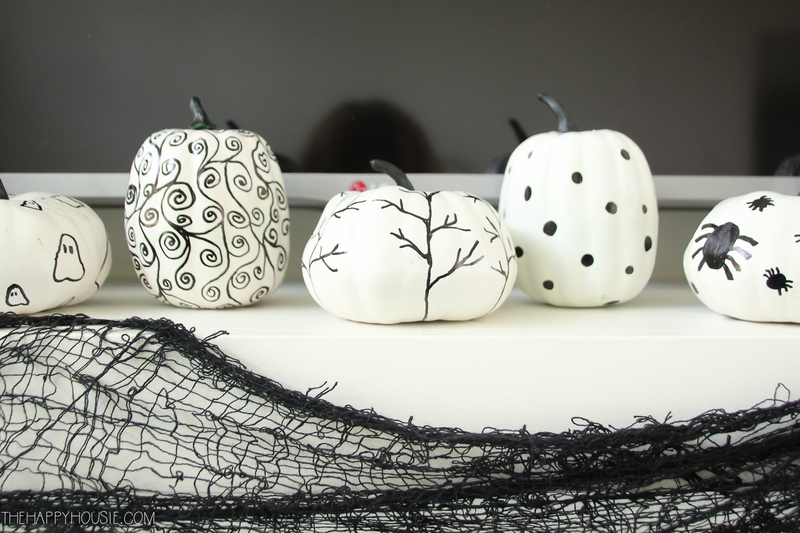 There is something about Halloween that begs and screams for black and white decor. And, as much as I love colour all year round, it just feels so right to go with the crisp contrast of black and white for this short lived season. 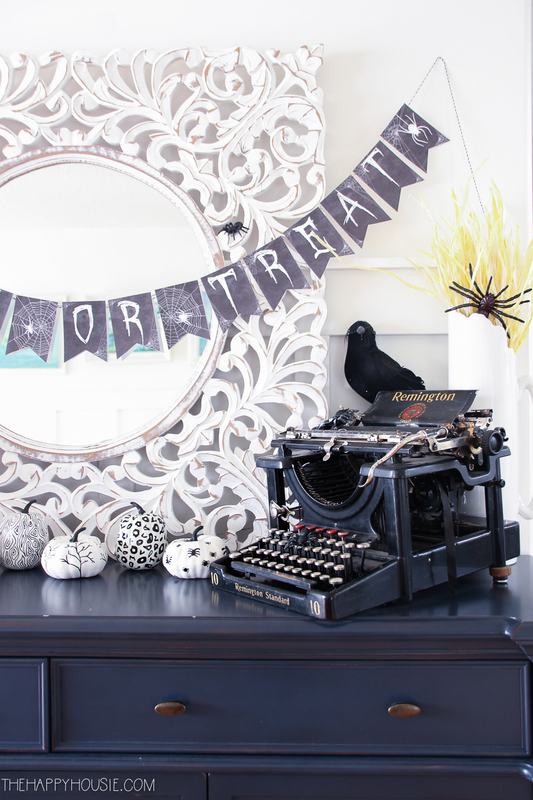 I can’t wait to share a few fun little Halloween decor touches that we’ve added around here (mini tour coming tomorrow)… but I also wanted to share a super easy and fun way to give some dollar store finds an elegantly adorable Halloween feel. 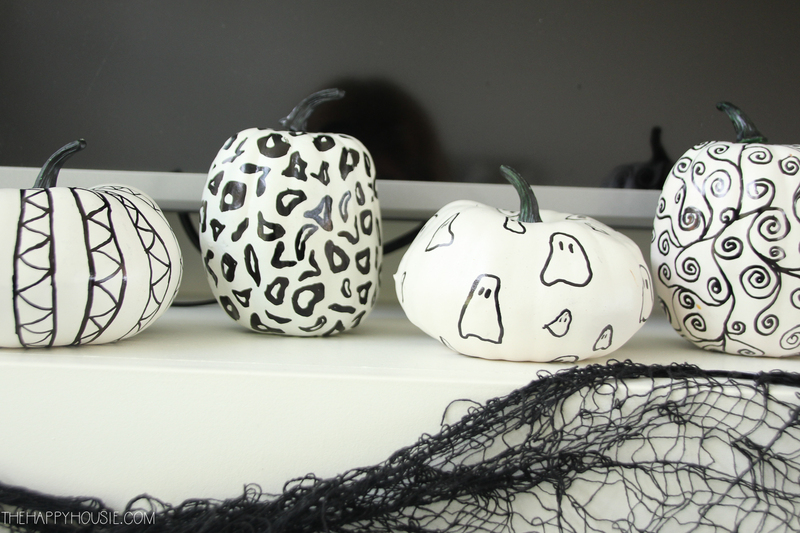 These cute little DIY sharpie pumpkins have been a favourite project of mine for a long while, and I’ll hope you love them just as much as I do! 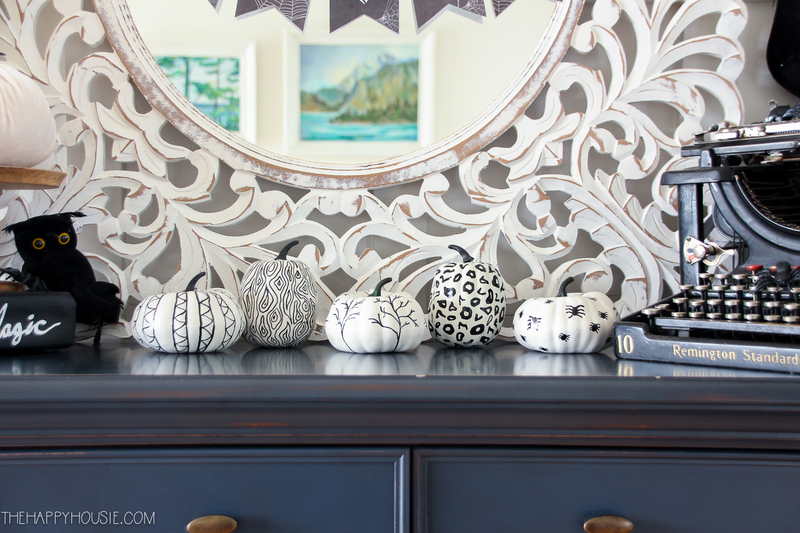 If you’ve purchased already-white mini pumpkins, then you can skip this step. 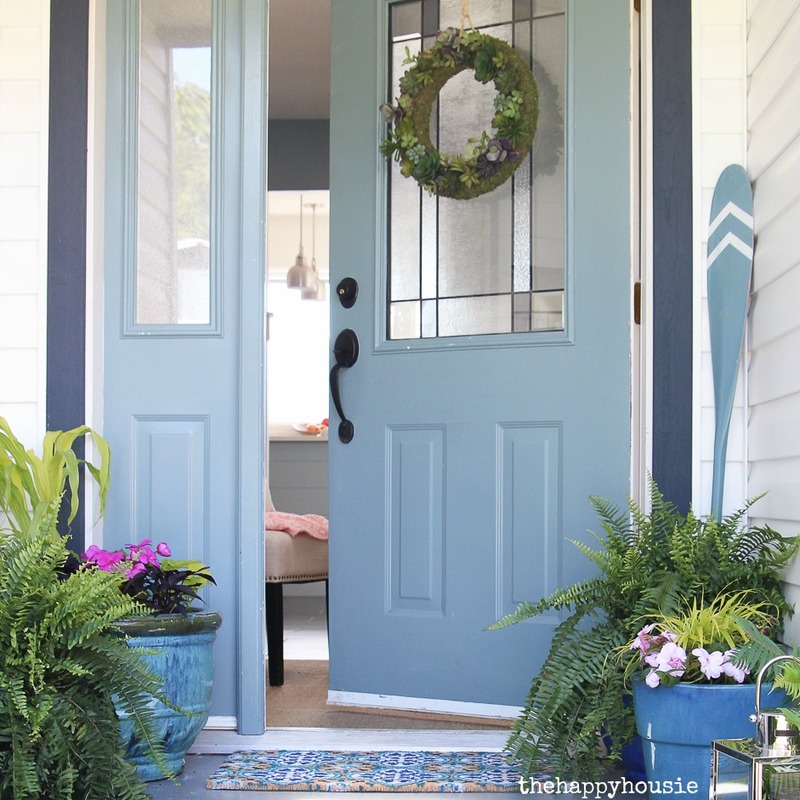 Remove the stems (you can spray them or paint them with craft paint separately). 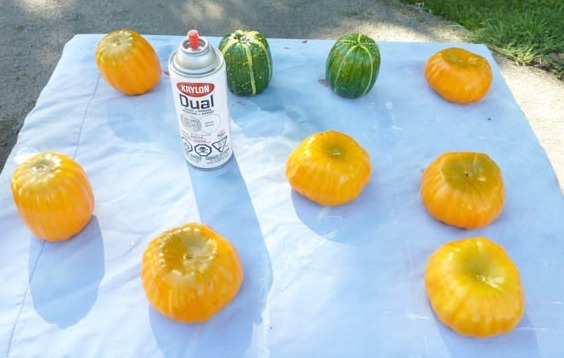 Then spray your pumpkins white (I used the paint and primer in one to make sure it would adhere and it’s held up beautifully!). 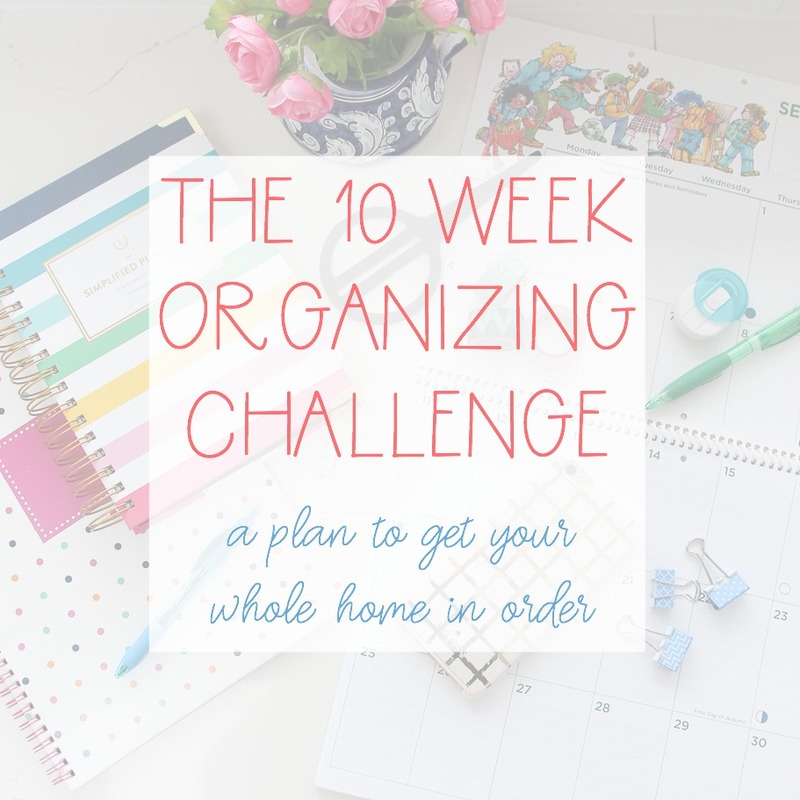 Then go to town with your creativity, and use sharpie oil based paint pens to sketch any kinds of designs that you like. 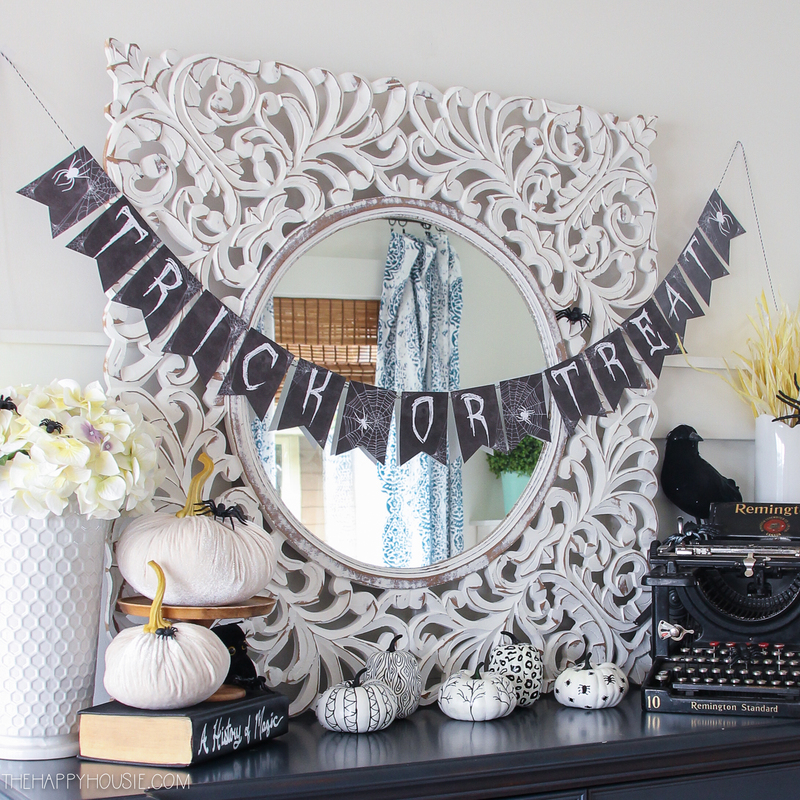 You can learn how to download that fun little printable banner “Trick or Treat” right here! 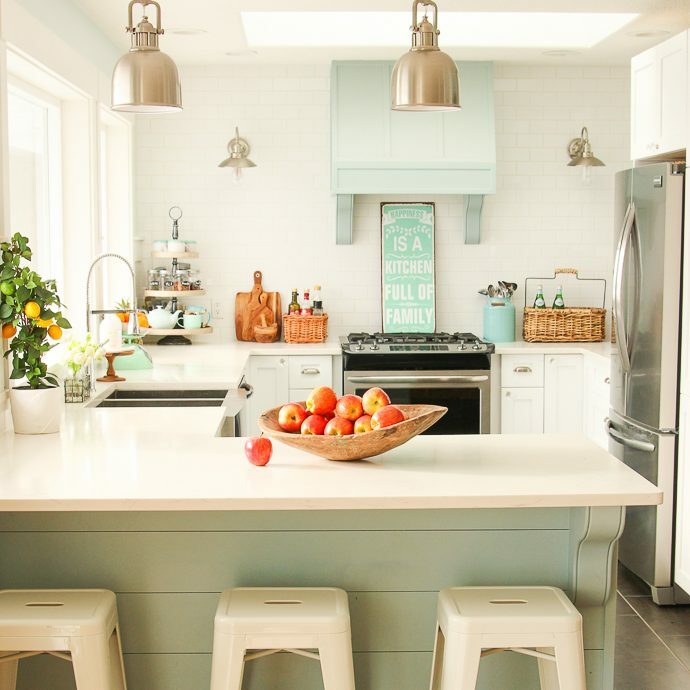 You can check out the full mini house tour here! 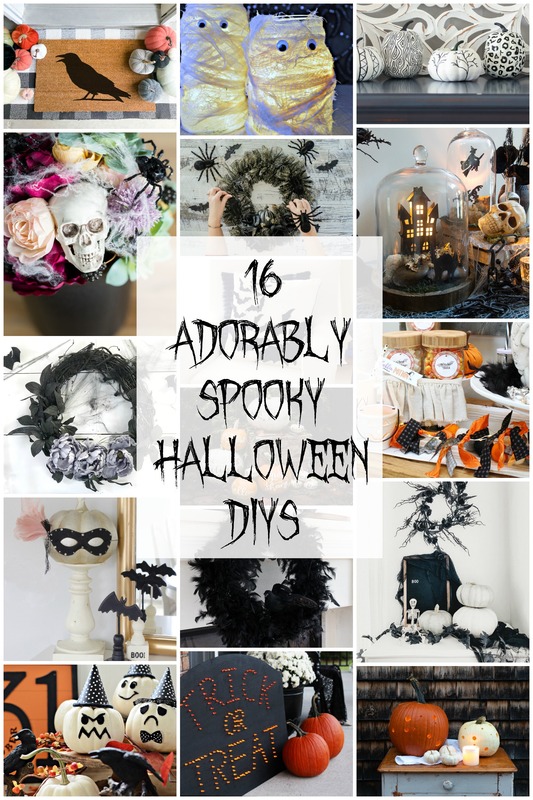 Want to remember all these awesome DIY Halloween ideas? So cute! The kids would have lots of fun with this. Love the one with the tree branches especially! 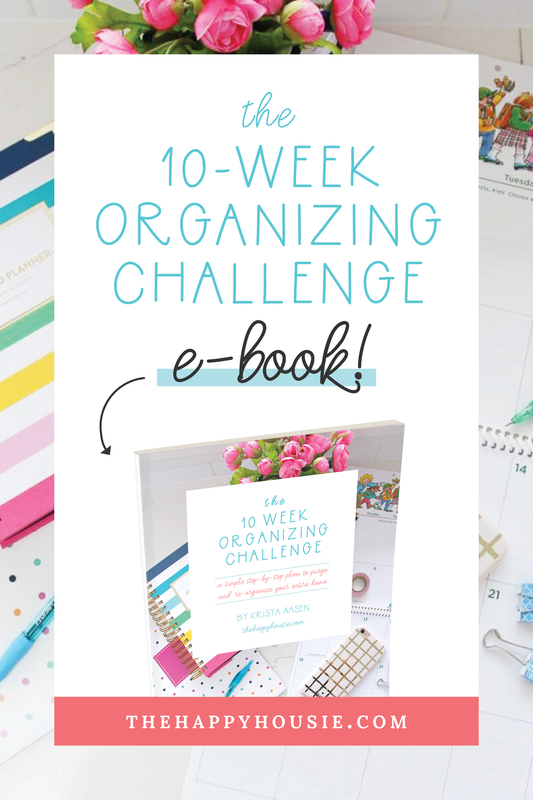 These are SUCH a great idea Krista! 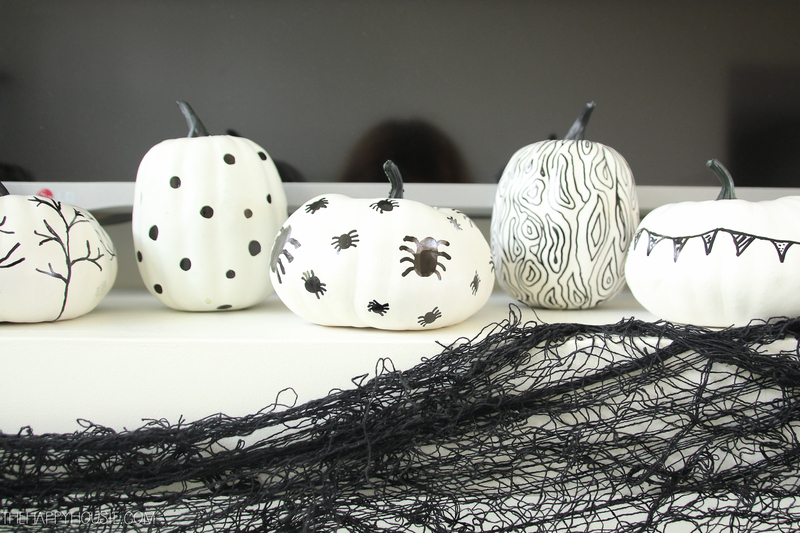 I’m loving black and white for Halloween this year too! so creative and darling! hope i’m not to late to the dollar store!! do you mind sharing the source for that lovely mirror? Thank you!! This is so stinking cute!! Love the handcrafted nature too! 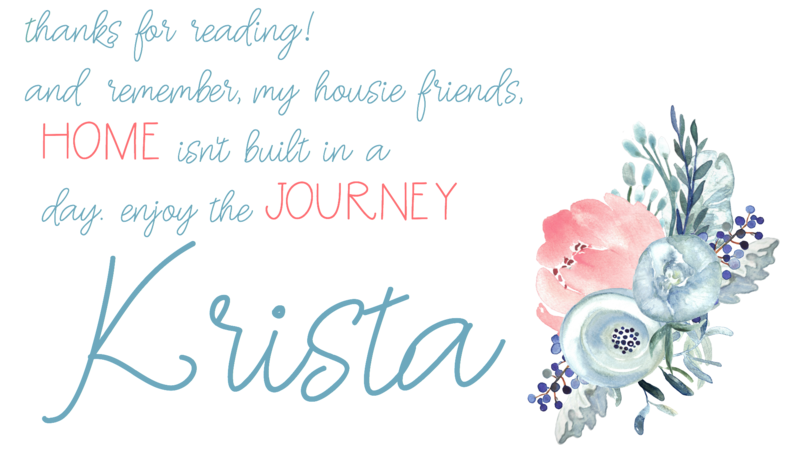 Love these, Krista! 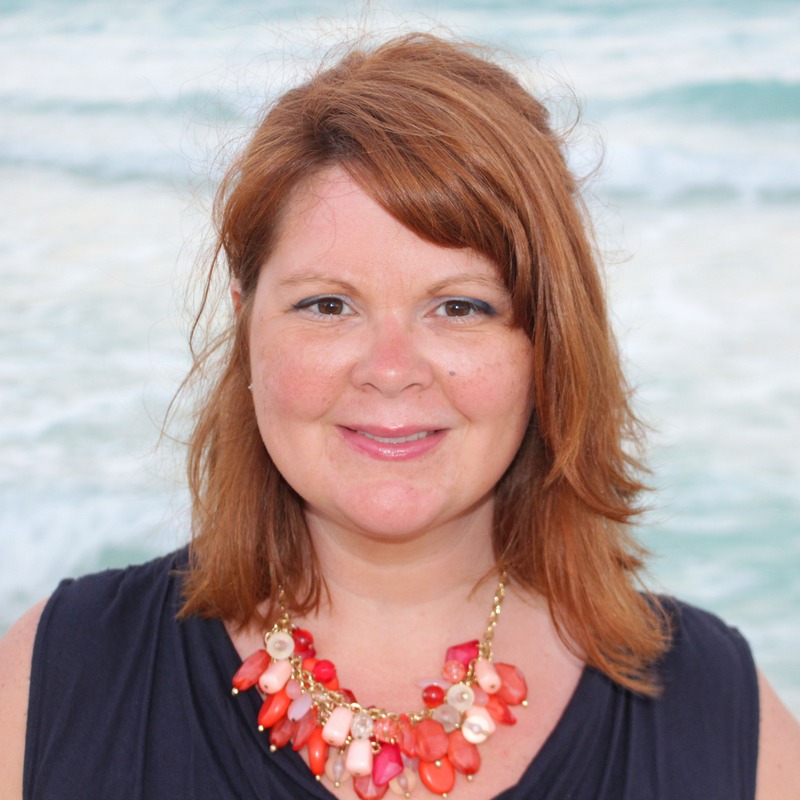 Thanks for organizing such a great tour! 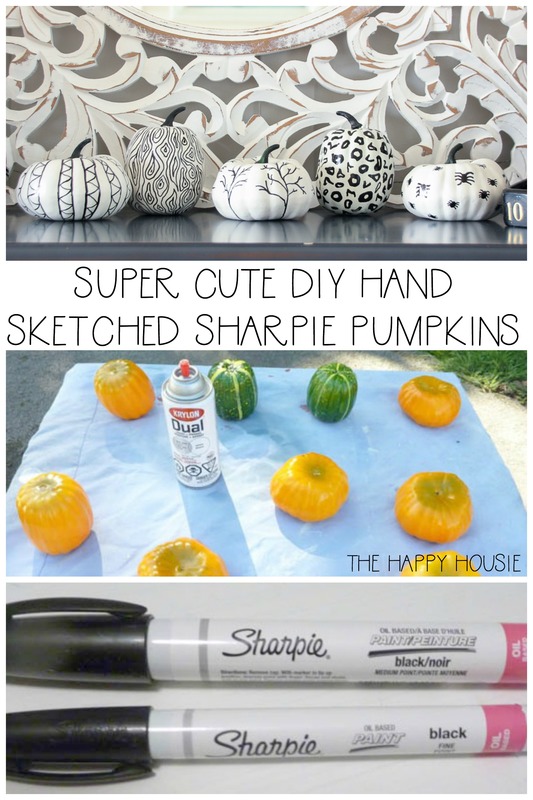 What an adorable way to upcycle thrift store pumpkins. These are super cute. These turned out so cute!! Love them! 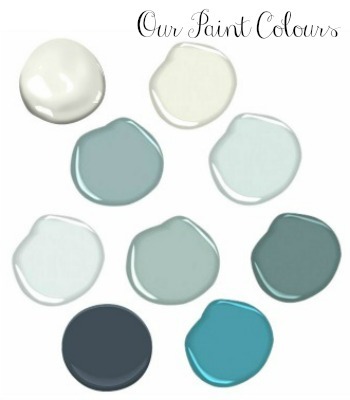 Love this idea for decorating baby boos!